There are many topics, but they will be dealt with swiftly; I’ve got an aching head and little patience, forgive me. Midfielder Souza, who returned recently and was enjoying (was he?) a relative success at Palmeiras, seems to be one more leaving through the back door. His contract expires in December and renovation with Palmeiras went down the drain when Souza demanded that his US$ 20K-a-month pay check reached US$ 120K a month. He was given a raise, but certainly nothing close to what he imagined. Grumpy now wants out and Cruzeiro has shown interest. One more short-sighted, big-headed young man not realising the value of being on the track to become one of the teams key players in the upcoming 100th anniversary. As one says over here: vaza logo. Then there’s Valdivia. How many times have I started a paragraph with the exact same words? Lost count. And will lose count until he leaves, I fear. Injured, without predictions for returning. Felt better, intensified training, felt the thigh again. Not available for the Palmeiras’ opening game of the Brazilian championship this Saturday. 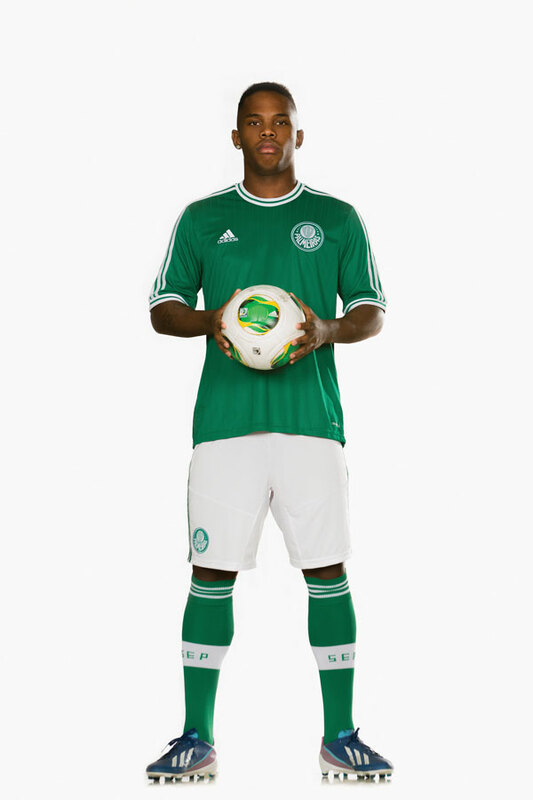 Available however is Palmeiras’ latest reinforcement: centre-back Thiago Alves. The 28-year-old former Mogi Mirim player, one of the team’s highlights in this year’s Paulistão, has signed with Palmeiras until December 2015. Coach Kleina expressed satisfaction with the arrival of Alves, who he denominates as “a modern player, with great positioning abilities and skill enough to initiate playmaking”. Expect more and punctual reinforcements, especially during the Confederation’s Cup break. Friday, kickoff in the Brasileirão, second division. Palmeiras’ debut is on Saturday, 16:20 local time, against Atlético Goianense: one of the few teams expected to put up a good fight. With all respect to the adversaries in the second division: everything but Palmeiras qualifying in first would be embarrassing. 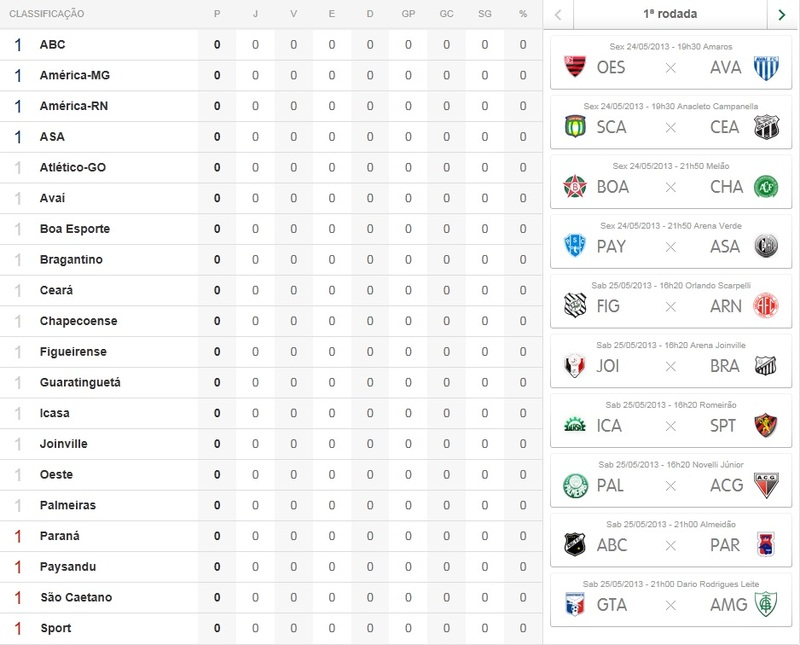 Watch out for Atlético, Sport, Ceará, perhaps Figueirense and América Mineiro. Check out the tables to your right, with the fixtures for the first round. 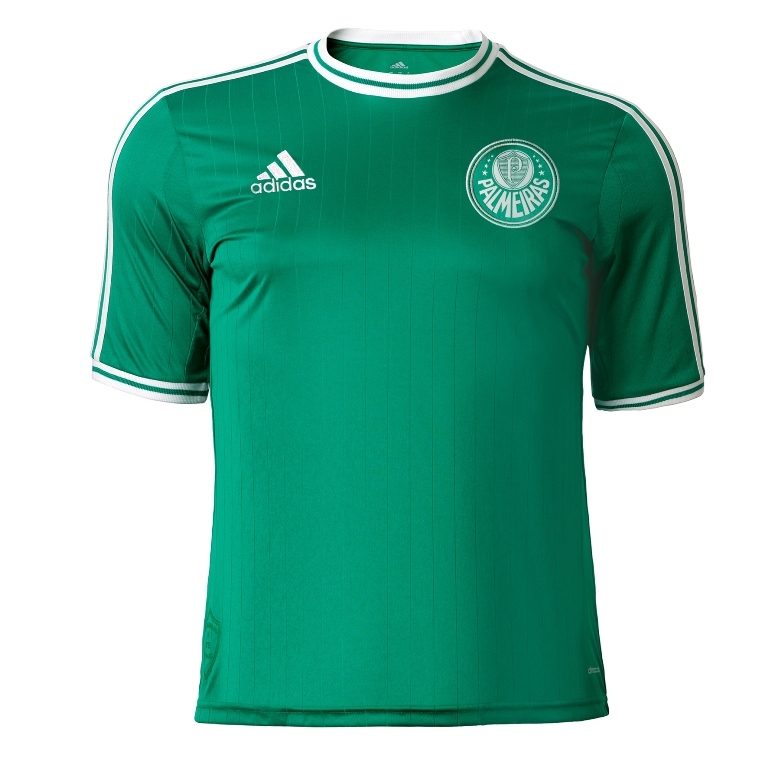 We might not be currently blessed with dream players, but at least we’ll look damn good on Saturday: Palmeiras and Adidas yesterday launched the 2013-2014 uniforms and they are spectacular. 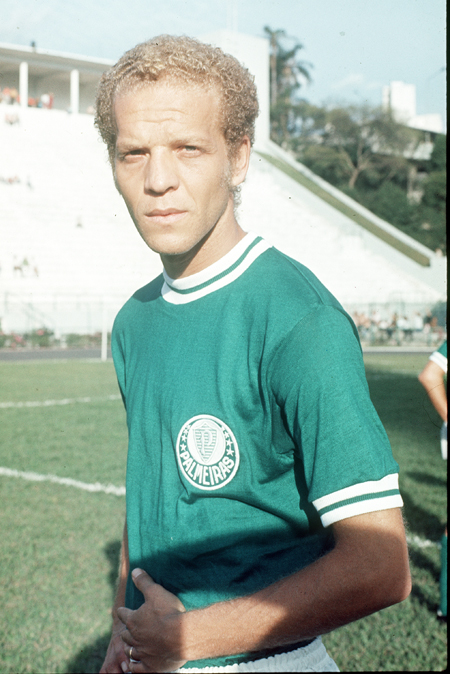 The home jersey pays homage to the 1973 Brazil champions in its retro styling, with larger Palmeiras badge and everything (as featured in the picture of Ademir da Guia, first from the left). The second jersey is plain white, as many of us have been longing for. Goalkeepers play in blue, with orange as the away colour. 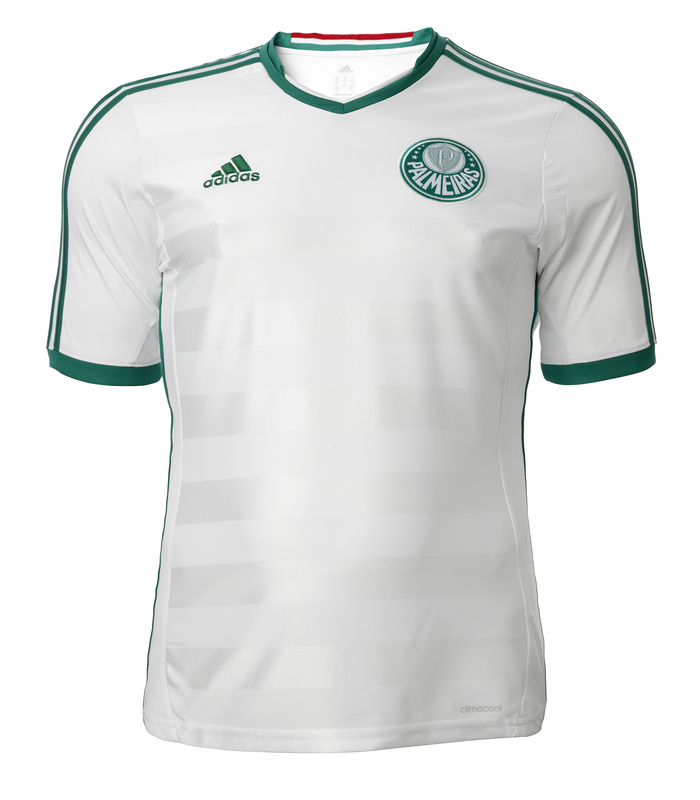 As the pictures show, Palmeiras are currently without a main sponsor: the contract with Kia ended last Sunday. The club is negotiating with several companies, but little has leaked to the press (which obviously is a good thing). Allianz will announce the name of the New Arena on 6 June. Some 630.000 votes have been cast on the internet. Perhaps we’re in for a treat, but most likely Allianz will have taken only notice of the popular request for Allianz Palestra (which wasn’t a voting option) but opted for Allianz Parque. 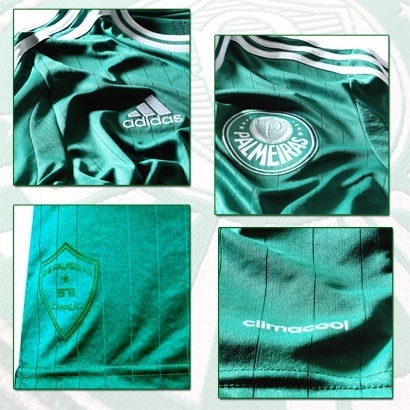 Great news to end with: Palmeiras announced Monday that Meltex, the same company that currently administers all official Palmeiras stores, will sponsor Palmeiras’ basketball team during the 2013-2014 NBB season. Last season the basketball team was without sponsorship, costing Palmeiras roughly US$ 500.000 to maintain. Nobre announced early on that all professional teams must carry their own costs and that the basketball team could be terminated as of this season. Thanks to a collective effort – directors in negotiating the deal and supporters in not letting steam off for a second in demanding a solution – we can look forward to a strong and professional basketball team carrying Palmeiras’ name all over Brazil thanks to the US$ 1.25 million that Meltex are pumping in. Previous Nobre sticking to his guns. Are we?